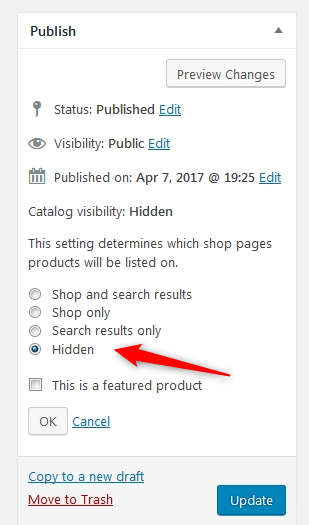 Catalog visibility for WooCommerce is a simple way to keep certain products visible or invisible for customers, hidden products will not show on front side shop. Mainly this is being used for content not yet available or under development. The option is being integrated within Publish widget or through Quick Edit.